Day 67 – JR asked me to help him draw a character from cars, I’m really not very good at drawing. 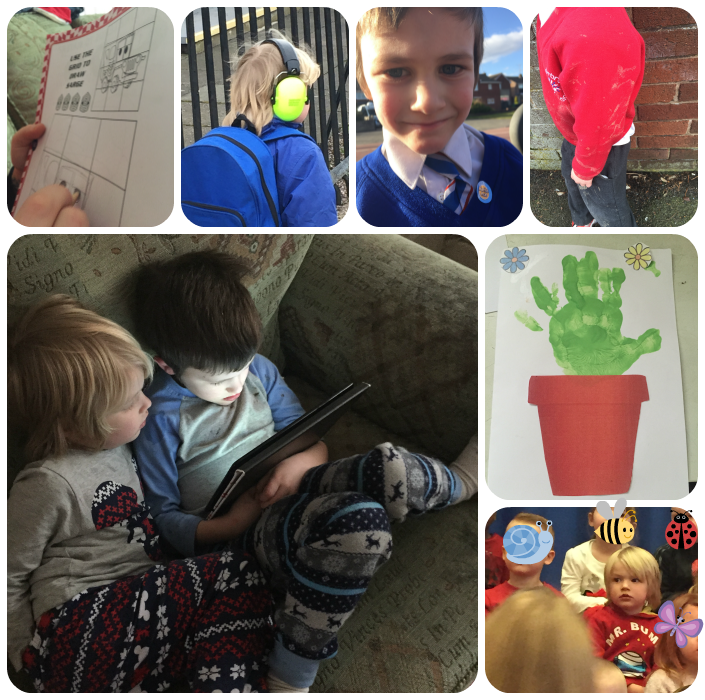 Day 68 – The wind and traffic were bothering TP so he wore his ear defenders to school. Day 69 – JR came home from school with a maths ace sticker. Day 70 – As part of the learning at nursery around Jack and the Beanstalk, the children played with baked beans. TP came home covered in them. Day 71 – TP brought his handmade mothers day card home and was so it excited about it he gave it to me 3 days early. Day 73 – I finally decided that it was time to sign up for Netflix the boys were incredibly happy with my choice. This entry was posted in Old Stuff and tagged baked beans, maths ace, mothers day, Netflix, School, Sensory Perception Disorder. That is so sweet that he had to give it to you early. I love the idea of enjoying Jack and the Beanstalk with baked beans! I am sure that your drawing was lovely! My children kindly think that I am marvellous at drawing (I am not and enjoy my husband’s snorts of incredulity as he is actually more talented) – I hope they continue to think that my singing is acceptable too!